Like so many times in the past, i have to apologize for being inactive again with my blog. I am currently here in the Philippines attending to some personal matters, and I will be stateside soon so i wanted to do a real quick post while i have access to some decent internet connection. 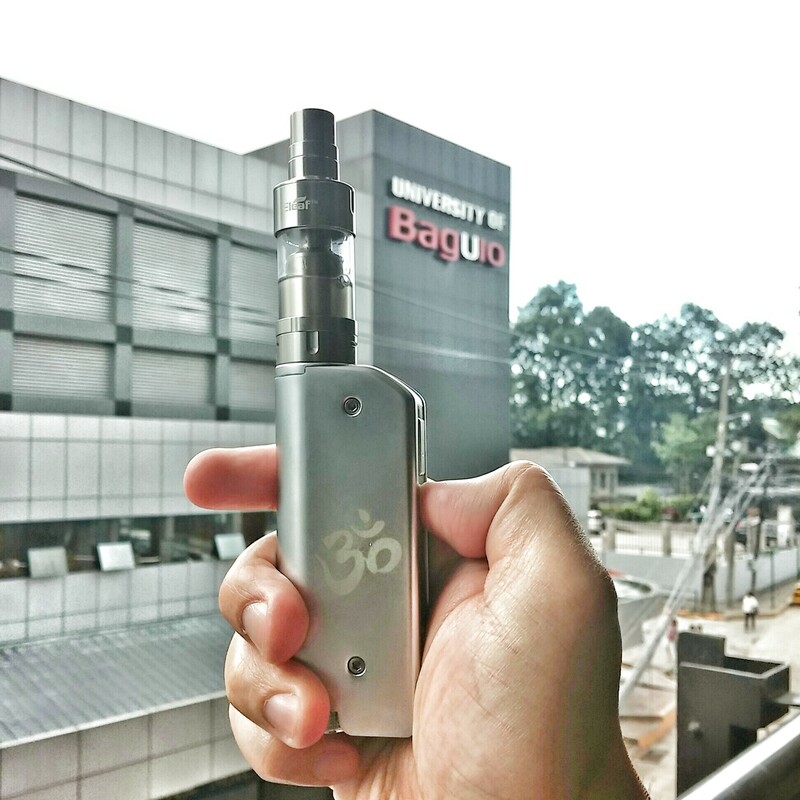 I came here to the Philippines surprised to find that vaping is on the rise. Baguio City, a city that is about a 6-hour drive from the capital city of Manila is a place where I spent a good number of years in my life. I was happy to see that a few local vape shops have started to pop up. I haven’t really had the time to actually visit them, but i did manage to take a few pics. 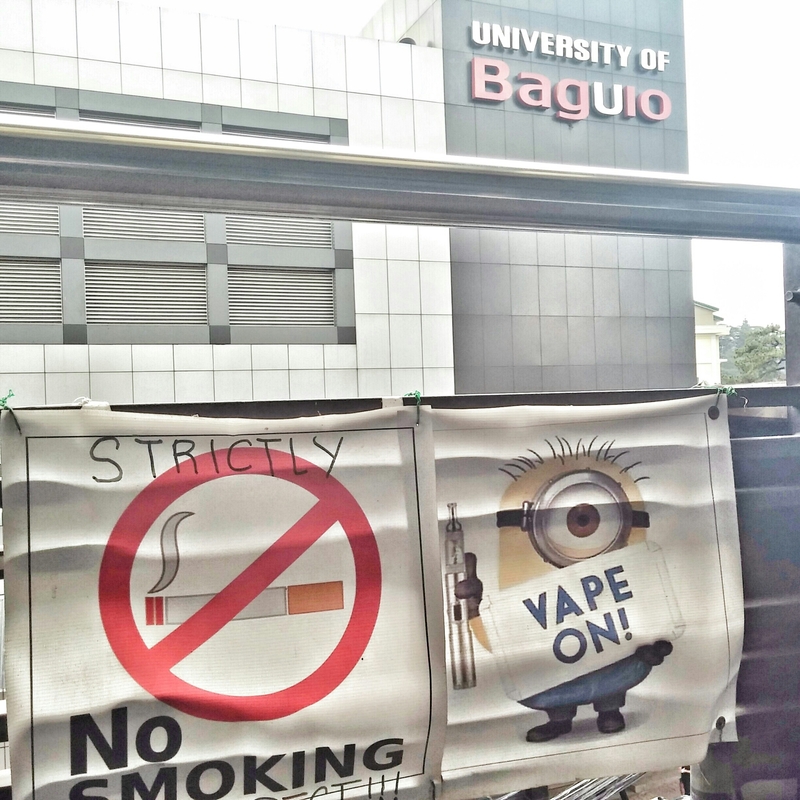 That’s me near the University of Baguio which is right next to a famous B&M in Baguio, Good Fumes. The Philippines has more lenient laws when it comes to smoking compared to other places, so this sign was necessary. 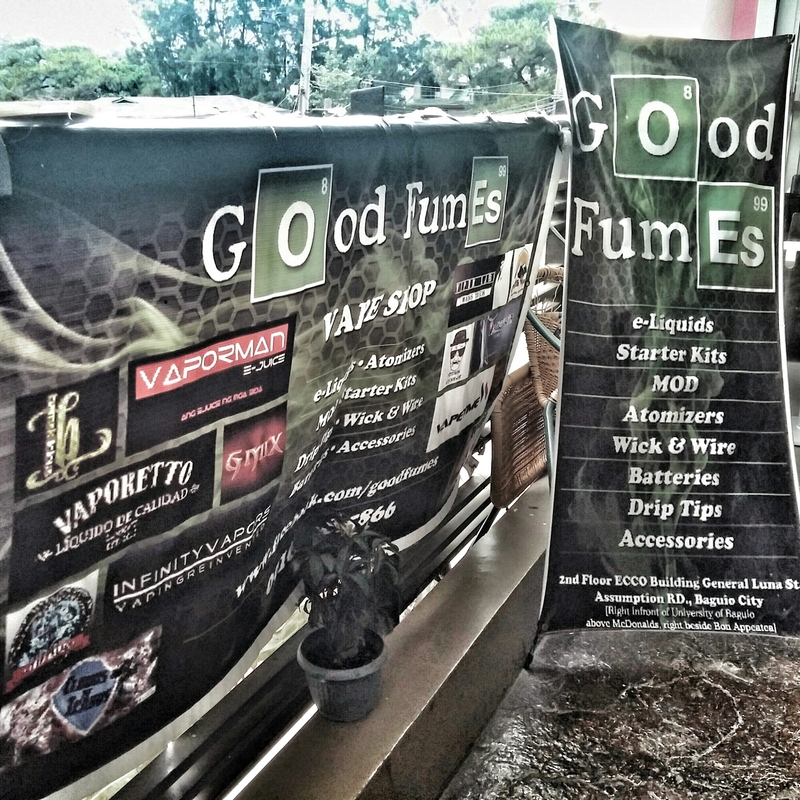 I was able to sample some good tasting e-juice from here which i will probably write about later. Anyway, just wanted to let everyone know that i am still here, still vaping, and i will be posting more once i get home to America. Yea the e-juice is hit and miss in the Philippines. I have been going there allot lately. When I do, I have been getting mine online a http://vapeworldworld.com and they damn good. The vape shops have some good some not so good. Any recommends? Hey Jeff! No, wasn’t able to check out too many vape shops while I was there. I’ll check out that link you posted though. Previous Previous post: How You Vape. Are you a lung or mouth inhaler?